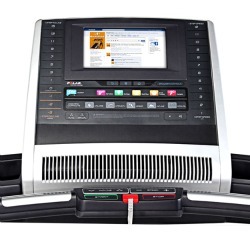 The NordicTrack Elite 9700 Pro treadmill has an onboard web browser on the console, a 3-degree decline feature, a folding frame, and a powerful motor. Similar in price to the popular Commercial 2950 model, it's a good choice with impressive specs. The console has a 10" full color touch screen display that connects to your wireless network for access to the internet. The built-in web browser, Powered by Android, allows you to surf the web or take advantage of the iFit Live™ feature for advanced training modules. UPDATE: The 9700 Pro has been discontinued and replaced by the Commercial 2950 treadmill. Check out our review here. Reviews by users and fitness pros on the $2,399 NordicTrack Elite 9700 Pro treadmill have expressed amazement that NT could make a machine this good, with this many top notch features at such a reasonable price. 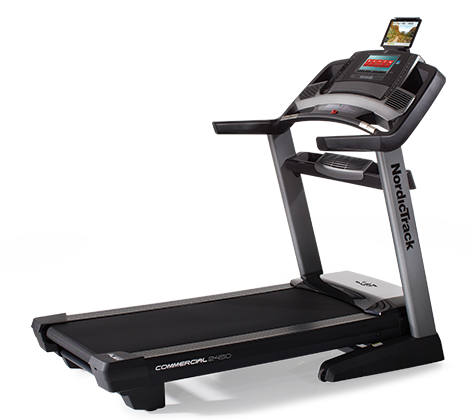 Key features of the NordicTrack Elite 9700 Pro include a big 4.25 chp commercial motor, a step up from the Elite 9500 Pro and the best NordicTrack has ever used on a treadmill. It is more than enough to power a larger 22" x 60" tread belt up to 12 mph with a 400-lb max user capacity. Two more exciting features are the -3% decline and 15% incline to simulate terrain running when you follow along to one of the iFit Live™ workouts using Google Maps across trails from all over the world. They have included a free Polar® wireless chest strap to help you in your cardio training, a 3-speed 8" AutoBreeze workout fan to keep you cool and focused, and a shock cushioning system under the deck that lets you select from 9 different settings. The compatible music port works with an iPod or other MP3 device, using either headphones or the built-in speakers on the console. 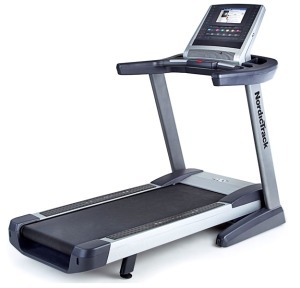 The NordicTrack Elite 9700 Pro also comes with free shipping and 30 day money back guarantee to save yourself some money and give you peace of mind. It's come down considerably in price and at under $2,500 you're really getting a lot with the Elite 9700 Pro...it's orth it for the powerful motor and incline/decline capability alone.